Why would I need self storage in Waipahu, HI? There are a variety of reasons why you might need self-storage in Waipahu, HI. How much is a storage unit in Waipahu, HI? The cheapest storage unit in Waipahu, HI is $51.00 per month. What size storage units do you have available in Waipahu, HI? In Waipahu, HI we have sizes that range from 2'x5' to 10'x30' to suit your storage needs. How much is it for a 2'x5' storage unit in Waipahu, HI? The cheapest 2'x5' storage unit in Waipahu, HI is $62.00 per month. Waipahu is a thriving community in the southern region of the Hawaiian island of Oahu, sitting just north of Pearl Harbor. It covers less than three square miles but is home to a large and diverse population. The city's name comes from a local artesian spring, a favorite of the early Native Hawaiians. Before Westerners arrived in Hawaii, Waipahu was the capital of Oahu and was an extremely popular destination for Hawaiian royalty. In 1897, the Oahu Sugar Co. was officially incorporated, establishing its main sugar mill in Waipahu. The company employed close to 1,000 workers, most of whom were brought in from countries like China, Japan and Portugal. The Oahu Sugar Co. was in business for nearly a century, with its final harvest taking place in 1995. Today, its former grounds serve as baseball fields for the Hawaii Pacific University team. Although Waipahu is very small, it offers a tight-knit sense of community that many of its residents appreciate. It's not uncommon for many locals to commute outside of the city for work, seeking jobs in the larger neighboring communities. Other benefits of living in Waipahu are its scenic surroundings and warm, mild climate. If you're interested in learning more about the area's past, the Hawaii Plantation Village is an outdoor museum that has several exhibits about the life and experiences of plantation workers. The museum includes many original structures from the Oahu Sugar Co., as well as a series of replicas that show the living quarters provided to the different worker groups. The schools in Waipahu are part of the Hawaii Department of Education. There are a few private schools in the area, mostly faith-based campuses operated by local churches. Utilities: Hawaiian Electric is the primary electricity provider in the area, providing a number of options for clean and renewable energy sources. The Honolulu Board of Water Supply oversees public water and sewer services. Garbage and Recycling: In most of Waipahu's residential communities, trash and recycling is collected curbside on a regular basis. Transportation: Waipahu is served by the larger Honolulu-based transit system, called The Bus. Like all of Hawaii, Waipahu is an extremely expensive place to live. Median home prices hover around the half-million-dollar mark, significantly higher than averages on the U.S. mainland. 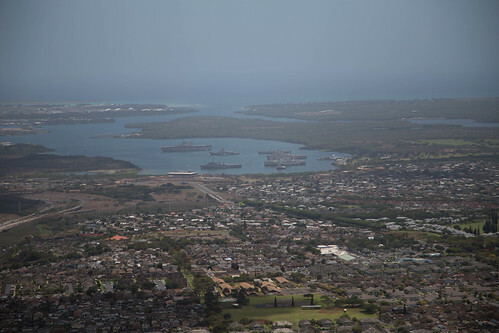 However, Waipahu is slightly more affordable than the nearby city of Honolulu, which makes it a popular option for commuters. Our lowest priced units in Waipahu, HI average $76.80 per month. 225 people have reserved units in Waipahu, HI in the past 30 days. There are 5 locations within Waipahu, HI's city limits. There are 4 locations in Waipahu, HI that offer AC and Heating features.